If you’re anything like me, it’s probably been a while since you’ve had to submit an essay to your teacher or professor. Mix that lack of practice with terrible American vernacular surrounding many writers and the era we live in where LOL, BTW and other nonsensical abbreviations are now the norm, and you have a grammar disaster waiting to happen. My grammar hammer is not always as point as I’d like it to be, but it’s certainly improved since I jumped into the world of writing. If you’re going to jump into freelance writing or blogging, then chances are that unless you’re a tried and true grammar snob, you’re more than likely a bit rusty in the grammar and proofreading department. It’s true what they say: It’s the little things that count. 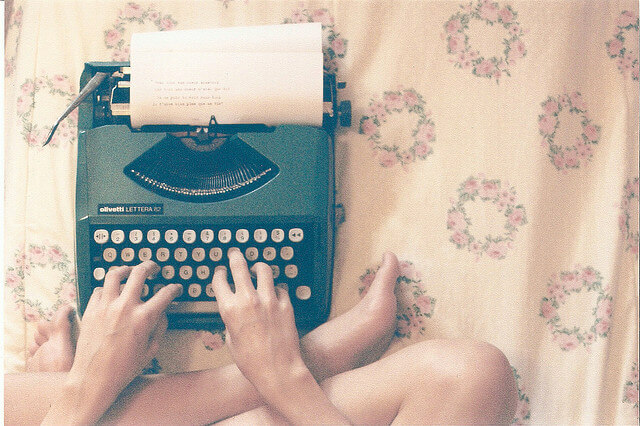 However, if you’re going to be jumping into a writing career, your grammar needs to be pretty spot on. I know—that can be a little unnerving to hear, but don’t worry: You don’t need to need to be a tried and true Grammarian to make money from writing. 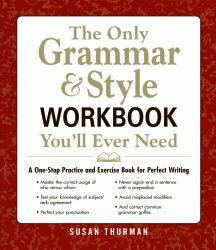 Even still, grammar is still an essential part of writing, so you should really take the time to brush up your skills. Below are a few books that I’ve personally bought, read, and loved. Be sure to check them out. You can get most of them in either a digital or paperback format. Learning English grammar can be boring, to say the least. As much as I love writing, going back through and trying to re-educate myself on sentence structure, parts of speech, and all the other stuff that I forgot, really hurts my head. That was the reason why I loved this book—they weren’t kidding when they called it “painless”. 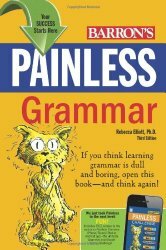 The book makes grammar fundamentals easy to follow and understand, and even has some funny little notes about stuff that just doesn’t make sense with English grammar; there are also sections to practice what you learn. This is one book that I have in arms reach during all hours of writing. I highly suggest getting the paperback version of this book over the digital version so that you can make notes and scribbles on pages or dog-ear sections for quick reference. Love this one! I truly love everything that Mignon Fogarty writes. Not only does she have the incredible talent of breaking down the English language, but she also does it in a way that isn’t a put down. She doesn’t believe in making people feel stupid for not understanding what some consider simple writing ethics and I love that about her! 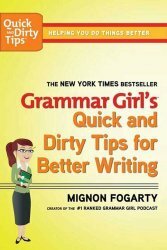 This book helps clarify a lot of common grammar errors and breaks it down in a way that is easy to understand so that you don’t walk away feeling like an idiot. As I mentioned before, I LOVE Grammar Girl! I’ve always had a bit of trouble understand punctuation, but Mignon’s book really turned things around for me. This book is only in digital format, but I’m always referring to it while I’m working. It’s the best .99 cents I ever spent and if you think you need some help figuring out the difference between a hyphen and a dash (I had these backwards for years and never knew it!) then this book is a goldmine. It’s the best .99 cents I ever spent and if you think you need some help figuring out the difference between a hyphen and a dash (I had these backwards for years and never knew it!) then this book is a goldmine. This book is amazing! 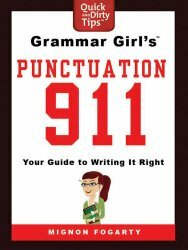 It takes things back to basics and help you learn to correct your own grammar errors. Many of the questions within the workbook are multiple choice, so if you make a mistake you can easily learn from it. One practice page takes no more than 5-10 minutes to do, so you can easily fit in one page a day. This is one of those books that you should definitely own in a paperback version. One practice page takes no more than 5-10 minutes to do, so you can easily fit in one page a day. This is one of those books that you should definitely own in a paperback version. Although I’m reluctant to believe that a grammar software will trump a real editor, I do love this app. Proofreading has never been my strong suit (I have really bad eyes… seriously—I’m like a minus 6 on my contact prescription) so this little app was a gem to find. The Grammarly Chrome app is a simple spell checker, but it also checks your grammar as you write in Google Chrome. The grammar portion isn’t always correct, but the spelling side of the app is great! It will highlight in red the word that you’ve misspelled and you just over the word and select the correct word that you meant to write. If really speeds up the editing process of my work and it’s something I couldn’t live without. I really love each and every one of these products and I hope that they will help you in your writing journey. Here’s one of my fav’s for you: ‘Eats, Shoots and Leaves’ by Lynne Truss. Really fun to read and very very educational!